Grammy Winning Mix Engineer Bob Horn (Michael Jackson, Usher, Timbaland, Ashanti, Dave Koz, Akon) recently sat down with Joey Sturgis Tones for their series Unleash Your Creativity to discuss the importance for musicians to understand the recording process on a more practical level; by being familiar with how things work in the studio, musicians can better communicate their vision to the production team. 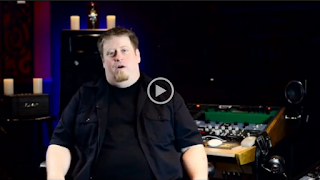 Horn discusses why he chooses JST Plugins for not only their unique sound, but the efficiency in creating the best sounds almost immediately. "In my opinion, the key to a great production is not over-producing. So many things these days have just layers and layers of sounds and tracks and kind of, to me, distract from the song. The lyrics and melody and the vocal in most genres are what you're selling, and if the production is too dense and too distracting, it can really take the listener away from the song. So the maturity of just putting exactly what's needed to enhance the song itself is the best way to go about production"
INFEST Festival 2018 – Celebrating 20th Anniversary! The RockChickenz are 4 chickenz, ready to rock the world. Talented, good looking and ambitious, on a mission to become famous. RockChickenz in cooperation with Neuweltmusic ® Ireland 2010 - 2017. Awesome Inc. theme. Powered by Blogger.